It a very popular site and allows its users to make rental agreements and private sale transactions on their own terms. Gumtree provides the option of a free advertising service as well as smaller charges for featured and home page display of their ads.There is also the option of personal contacts through Gumtree. You must be careful if arranging to meet up with someone via an online portal. Gumtree provides a means to meeting others but you and not they are responsible for your own safety and security when meeting someone offline. Be sensible and be safe, always go with a friend and make arrangements for a safe journey home. Gumtree started as an information website for migrants to London and the principal aim was to supply information about accommodation, sell cheap goods and to provide an online social network. Gumtree is not only available in Belfast but in most of the populated countries of the world and in different languages. All types of motor vehicles can be purchased on Belfast Gumtree.Again all buyers should proceed with care as Gumtree is not legally responsible for any types of fraudulent sales transactions initialized through their website. Be careful and do all the necessary checks of proof of ownership before purchasing goods and passing across your hard earned money. Bargains can be found but as the old saying goes if it sounds too good to be true it probably is. Suspicious advertisements should be reported to the administration department of Gumtree immediately.The website is also a resource for job opportunities, especially throughout the Belfast area and also in Northern Ireland. Job vacancies are divided into categories, and employers and recruitment agencies as well as private individuals can place job advertisements. 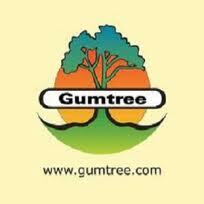 Many job seekers and employers regularly use Gumtree’s website for its high number of visitors. Visitors can perform an advanced search, to ensure an improved chance of finding a suitable position.Esate agents and private home sellers and buyers can use Gumtree’s property section.Properties can be searched based on budget and the area in which you would like to live. There is also an area of the website interested in Belfast flat and house sharing or looking to spread the costs with a roommate. New and used goods and unwanted toys etc can be sold through Gumtree Belfast. You can add photos and detailed descriptions. Community services can be advertised quite successfully on Gumtree. How would you rate their Belfast website and service?